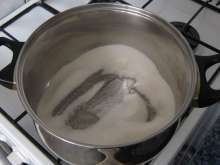 Pour sugar in a deep pot and cook over medium heat to caramelize. 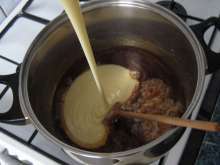 Pour in sweetened condensed milk and let the mixture melt while stirring frequently on the heat. 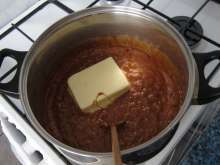 Set it aside, add butter and stir until it becomes melted in caramel. 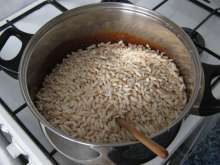 Pour in puffed rice and mix well. Allow the mixture to cool slightly for about 15 minutes. 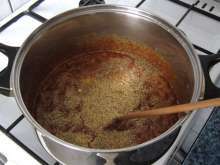 Stir often during cooling. 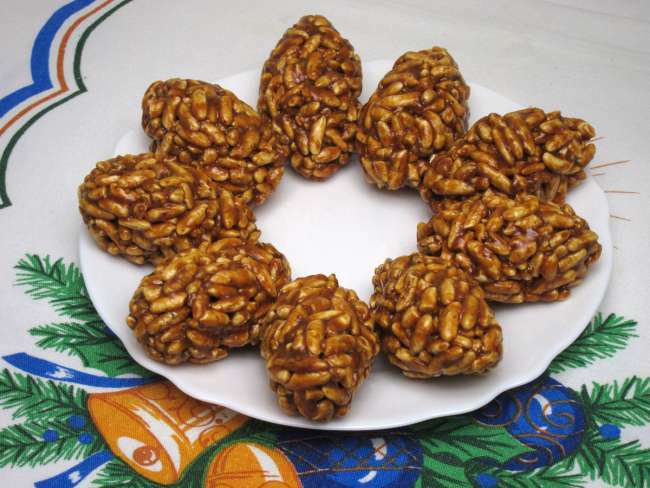 Use your hands to create small balls from the warm mixture, shape them into cones and place them into baking tin. Rinse your hands under cold water time and again. Store these delicacies in the cold place, the best are on the third day so we recommend to hide them thoroughly :). 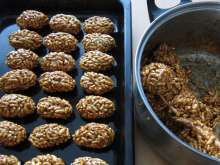 2 hours before serving transfer them from cold place to the place with room temperature so that they become soft.